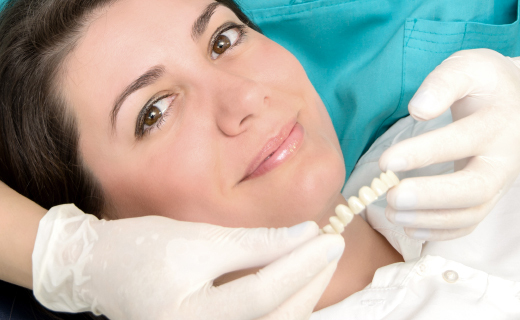 Are you interested in Veneers in Owings Mills? Porcelain is a brilliantly white, yet natural-looking material that reflects light in much the same way as natural tooth enamel, making porcelain veneers a beautiful solution for teeth that are stained, damaged, or misshapen. By bonding a wafer-thin layer of porcelain to the front surfaces of teeth, our cosmetic dentists in Owings Mills are able to conceal chips, discoloration, gaps and other aesthetic flaws. And by shaping the dental veneers to be as aesthetically pleasing as possible, our dentists are often able to correct misalignment, which might otherwise require braces or other orthodontic treatments. 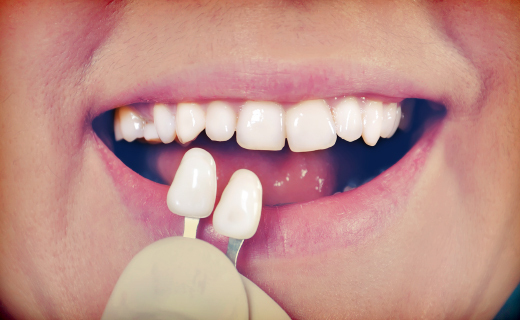 Make an appointment to find out how you can have the smile you’ve always wanted with veneers!